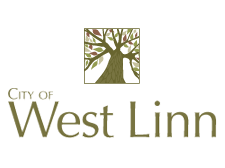 West Linn, Oregon, known as “the city of hills, trees and rivers”, is a fast-growing residential city located 12 miles south of Portland. It has all of the advantages of being close to the urban amenities of the metropolitan area, while still retaining small town charm. Flanked by the Willamette and Tualatin Rivers, West Linn is home to fishing enthusiasts of all types. Kayak, canoe and boating enjoyment is available as well. The Cedaroak Boat Ramp Park offers access to the river, wildlife viewing, fishing and hiking trails. Mary S. Young State Park is a favorite of birders, with numerous walking trails and river views. There are also sports fields, a shelter, and an unleashed dog area, as well as a walking bridge to Cedar Island. The Camassia Natural Area, owned by the Nature Conservancy, has more than 300 plant species in the preserve, including the common camas. Camas, formerly used as a food source by Pacific Northwest Native Americans, has beautiful blue blooms in April and early May. Birders can find the wood duck, western bluebird, and California quail, as well as other well-known bird species in the natural area.